What Siding Is the Most Fire-Resistant? Most of us prefer not to think of our homes as piles of kindling. But accidents do happen—and experts believe that wildfires may be on the rise. In fact, studies have confirmed that the western states are indeed experiencing a new age of fire outbreaks, mainly due to deforestation and climate change. While you certainly can’t prevent every hazard to your home, you can make your home as fire-resistant as possible by investing in less combustible materials. Some siding can stand up to the heat better than others. Fiber cement and aluminum siding, for instance, manage to withstand heat and lower the spread of fire. In testing, these products achieved higher ratings, which means they may prevent or reduce the spread of fires. Let’s take a look at some of the best products out there, and what you can do to improve the fire-resistance of your home’s exterior walls. An alternative to vinyl siding, fiber cement, a mixture of cement, sand, and wood fibers, manages to achieve very high fire resistance without sacrificing convenience and durability. Many fiber cement products carry a Class A fire rating, meaning that they can withstand several hours of heat before melting down. Additionally, they slow fires from spreading into buildings and damaging property—so that’s more time for the fire department to reach your home in case of an emergency. Aluminum and steel siding are virtually peerless when environmental hazards strike. Not only do these tough exteriors stand up well to wind, rain, hail, and sleet, they’re also very fire-resistant. Most metal siding is rated as noncombustible, which means that in fire safety testing, it was shown not to ignite and spread fires. In fact, metal is arguably one of the best materials to put on your home to reduce fire damage. Brick and stone veneers over wooden frames reduce the risk of fire enormously. Brick is considered to be a fire-resistant material—and since it doesn’t have caulked joints, it may keep flames away from the stud cavity and interior of your walls as well. That’s to your benefit, since many fires occur when flames get behind siding to the more combustible materials on the inside of a home’s walls. Both traditional and synthetic stucco get high marks for resisting fires, too. When properly installed against fire resistant materials, plaster siding—also known as stucco—regularly achieves a one-hour fire rating. That means homeowners have up to an hour before the material will give into the heat of a fire and begin spreading flames into the interior walls. If none of those options sound appealing to you, you don’t have settle for less-than-sound fire security. 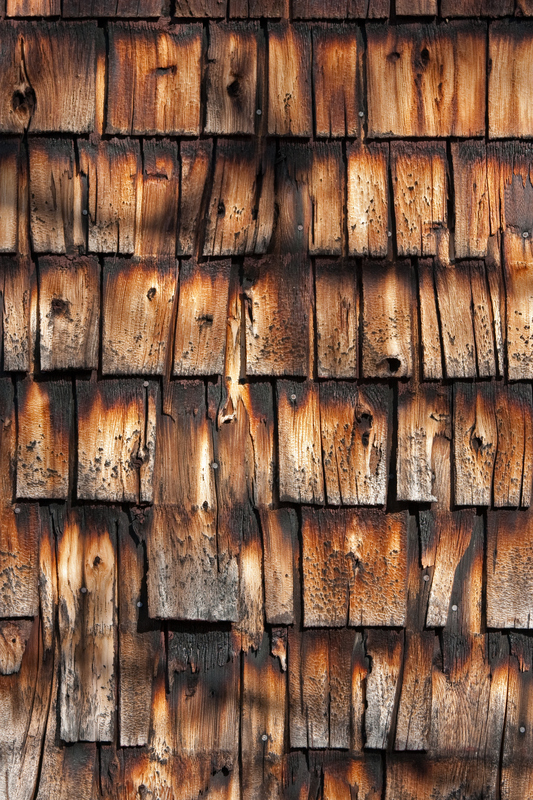 Wood siding can be treated with chemical flame retardant sprays to improve its fire-resistance. However, you should be aware that fire can still penetrate the stud cavity of your home through the joints of the siding assembly. Additionally, just because the siding has been treated doesn’t mean that the exterior trim or roof soffit is safe—so make sure to either install separate fire-resistant or treated trim, as well. Among the materials not recommended for fire-resistance is vinyl. Since vinyl is made of manufactured plastic, it quickly melts when exposed to the high heat of a wildfire. The melted vinyl exposes the internal walls and studs, meaning that flames can quickly spread into the home, causing more damage. In fact, the Federal Emergency Management Agency (FEMA) does not recommend installing vinyl siding on homes that are at high risk for fires. Of course, vinyl siding has other benefits as well—namely its affordable price tag. So if you do decide to install vinyl cladding on your home, you can improve the fire resistance by adding 5/8-inch type gypsum boards with taped joints below the housewrap and siding. That way, if the vinyl siding melts, you’ll have a little bit of protection before the flames can reach your home’s interiors. 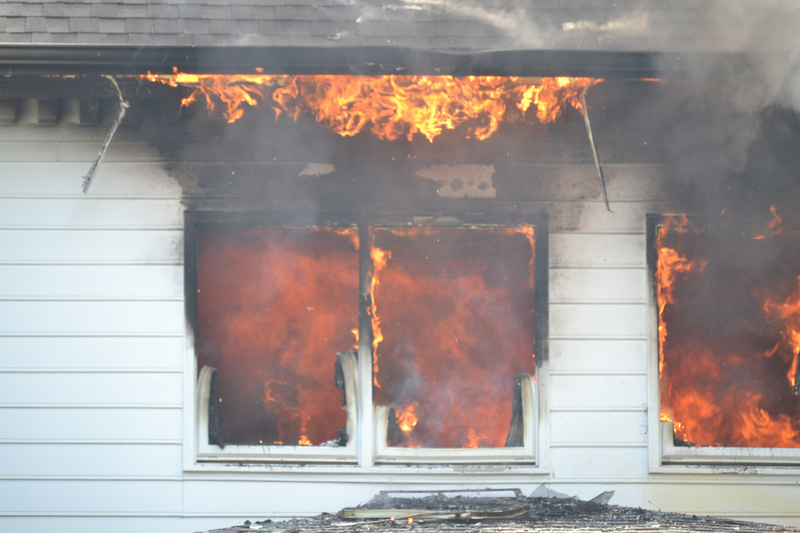 While outfitting your home with noncombustible or fire-resistant siding can do a lot to improve your home’s chances of surviving a fire, these materials obviously can’t protect the parts of your home that they’re not covering. When you’re trying to boost the fire-resistance of your home, you should examine the materials used in your soffit and trim around eave overhangs. Fires typically spread upward to the top reaches of a home, but flames may become trapped in these areas, creating superheated conditions. Many gypsum-based soffit boards are specially designed for fire-resistance. Type C boards, for instance, are mixed with fine glass fibers and vermiculite, which keeps the boards intact and stable in the event that they are consumed by flames. Fireproofing your home is a big job that means looking at all the elements of your walls, roof, and interior—not just your siding. However, you can get a jump on fire-resistance by purchasing safer cladding and having it installed correctly. That should take some of the heat off your home!